If you are interested in learning how to create a blog then you’re in the right place because I have detailed every little step I took when I created Cash Flow Diaries. What you will find is that its super easy and you can literally do it in minutes. 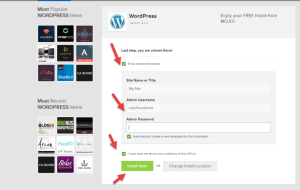 I have been asked already by a few people how I created it so I have created this simple step by step so you can see for yourself exactly how its done. Creating a blog is not for everyone, you must have a purpose and in my opinion, a passion for what you want your blog to be about. The reason I created my blog was originally just to keep track of my net worth online. By posting my actual numbers to the world, I knew that it would keep me super motivated to make sure it keeps going up and as fast as possible. Which is what I want because as mentioned before, my goal is to quit working for the man and live a beautiful life of financial independence. Freedom baby, freedom!! 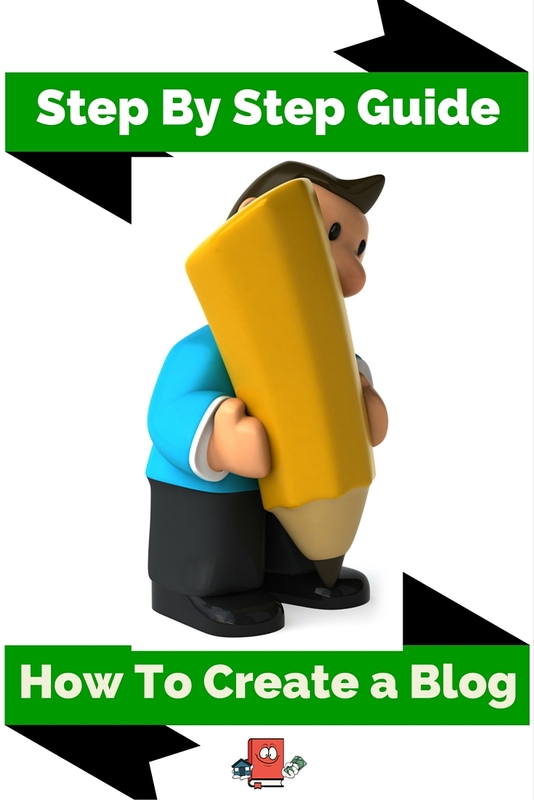 As I started creating this blog and writing about my assets I experienced a super inspiring moment that I wanted to help others purchase assets just like these and help people get on their way out of this darn rat race! So my focus now for this blog is to keep me motivated to grow my assets, help others that want a similar goal and most importantly, KEEP THAT CASH FLOW COMING!!! I love me some cash flow. Seriously! I’m in love with it and I want to marry it. It is also very possible to make money from blogging. I have been making extra income from my blog from the very beginning as you can see in my income reports. And there are numerous other bloggers making a killing each month from blogging with the top blogger making over 100k per month. Yes I said 100k per month. 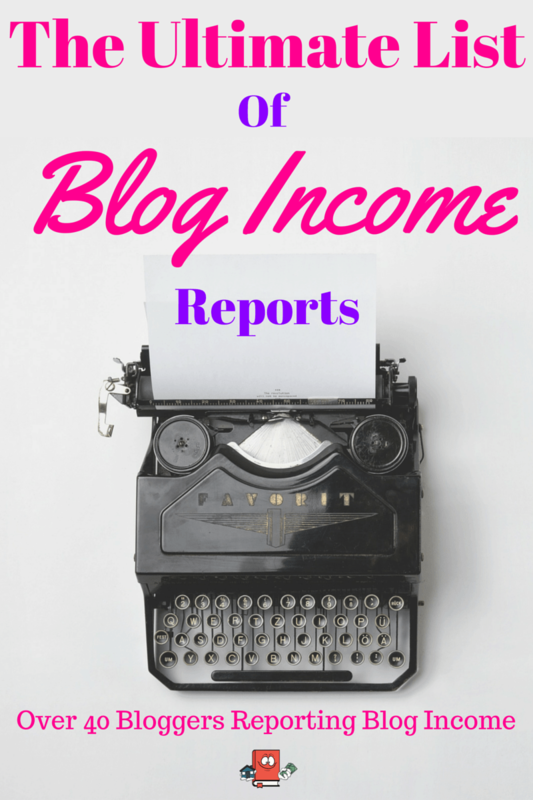 It is crazy and you can see over 40 bloggers reporting their income right here on the Ultimate List of Blogger Incomes. Once you have your name, sit tight for a minute as you will purchase/register it below. Step 3) – Choose the package you want. 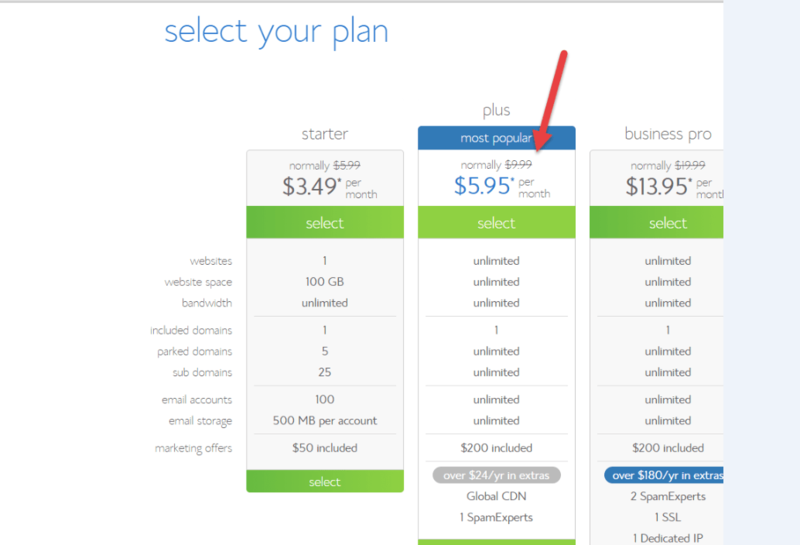 I chose the “plus” package because of the added storage that comes with it and its only $5.99 per month. 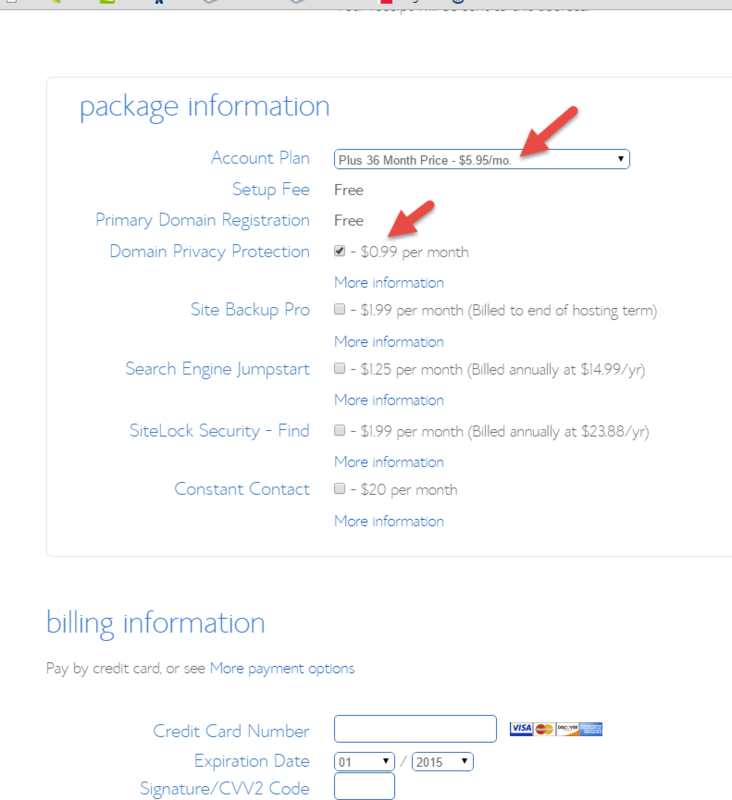 Honestly though I probably should have chosen the $3.49 per month package to start. If I were you, I would start with the $3.49 package. If your site grows to the point where you need more, then you can just upgrade. No biggie! 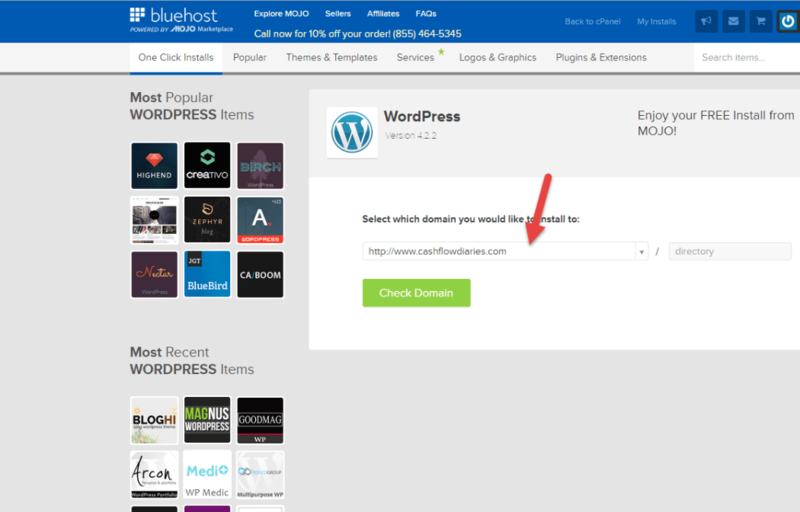 Step 4) – Enter your newly discovered domain name in the box below and hit next. 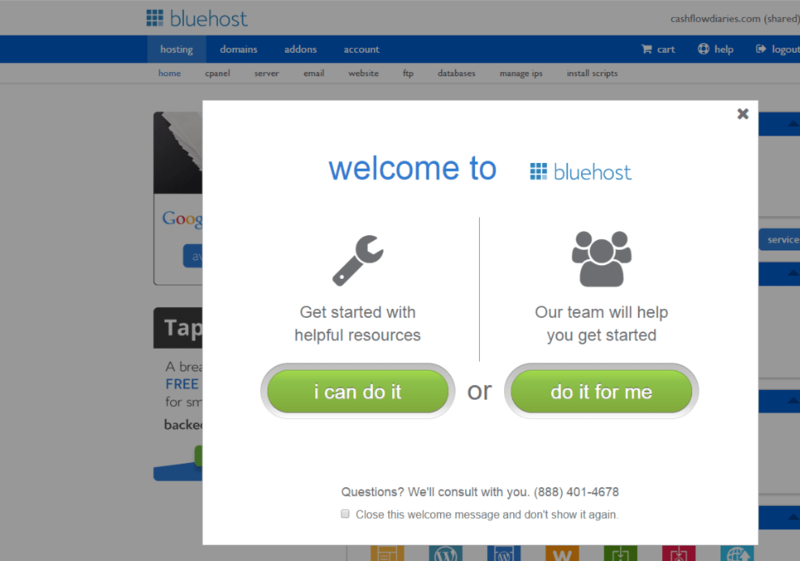 Blue host will register it for you here. 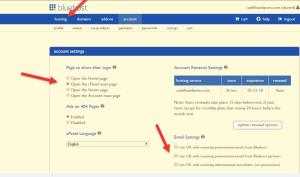 Step 5) – Confirm your account plan in the drop down. Like I said, I chose the $5.95 one but you should do the $3.49 one. 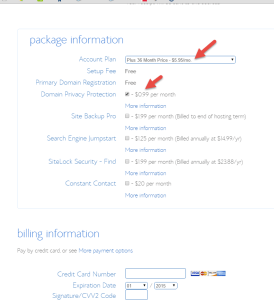 Check the box for “Domain Privacy Protection” if you want to keep your personal name out of the public eye. 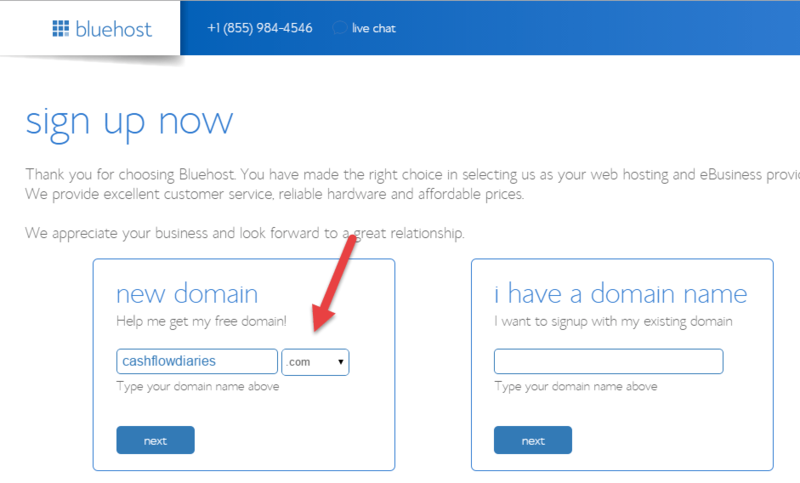 Once you purchase a domain name, people can find out who the owner is. 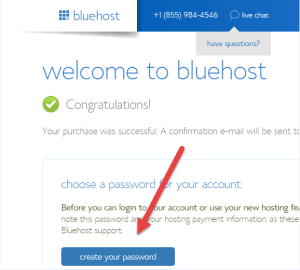 If you do this, it will just say “Blue Host” as the owner and not your personal name. 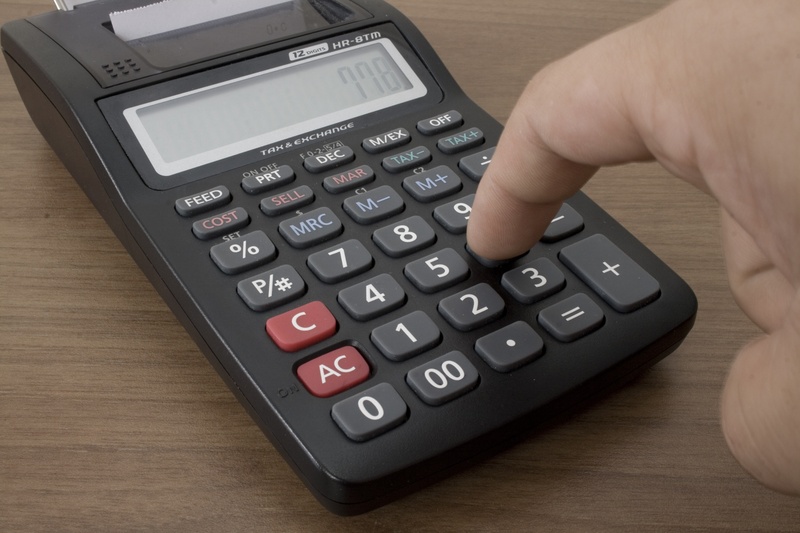 I chose to use the domain privacy because I am posting all my personal real financial numbers on my blog so it makes sense for me to do it. Don’t sign up for the other crap. Enter your billing information below and hit submit. 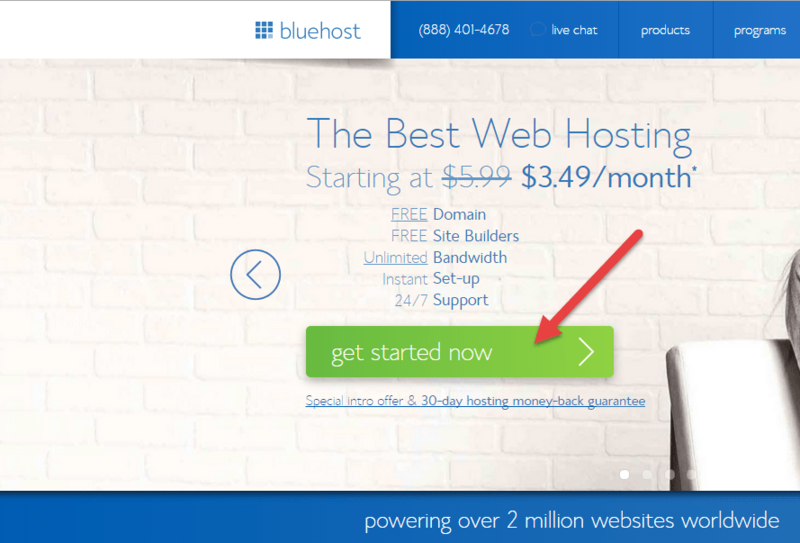 **NOTE** Please be aware that blue host charges you upfront for multiple years so when you pay now, you are paying for the next few years. For example, I paid for the next 3 years of hosting so I’m covered now for 3 whole years in which I can renew at that time. My total for everything I ordered came out to $226.08. 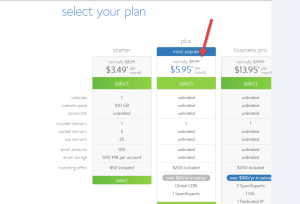 Yours will be cheaper if you chose the cheaper package which you should do. Step 7) – You will then be redirected to the welcome to bluehost page in which you will hit the button for “create your new password”. 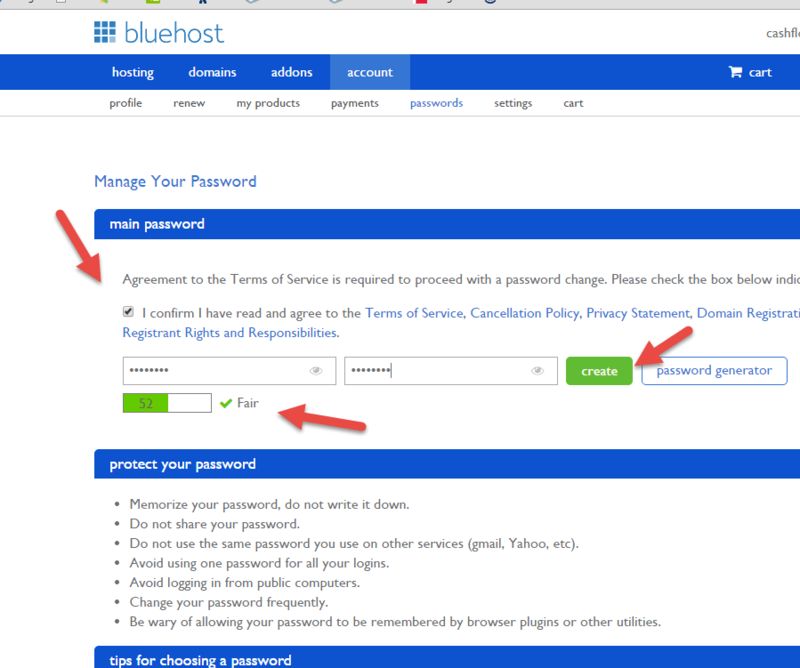 Step 8) – You will then be taken to your “Mange your password” section where you will actually create the password. Make sure to write this down and keep track of what this password is and to what site it goes to. 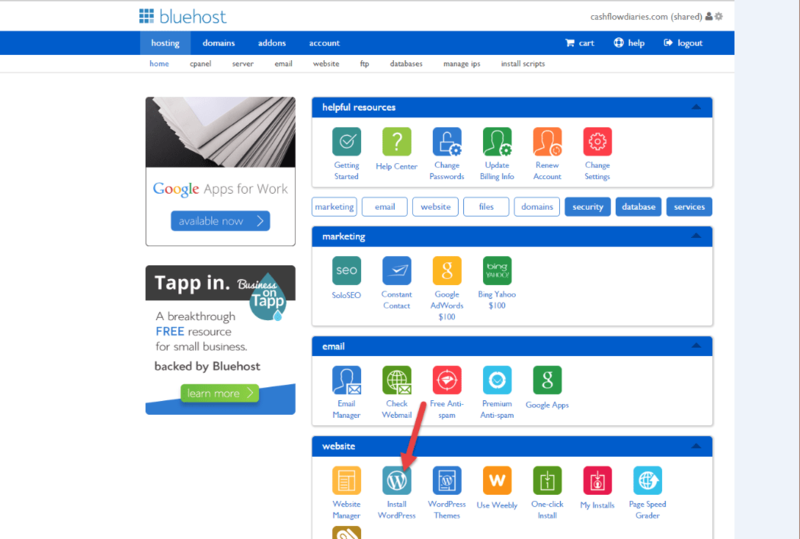 Step 9) – You will then be taken to the login page for blue host where you will use the username and password you just created. 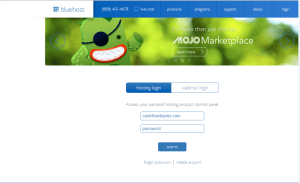 Enter you new password. 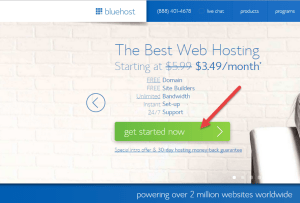 The username should be your website name. 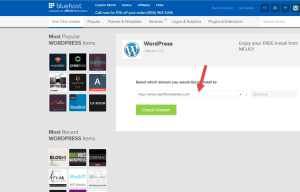 This is a good time to copy the URL before you sign in and make it a favorite or store it somewhere so you know where to login and with what username and password. Just write it down somewhere because there will be more usernames and passwords to keep track of. Trust me! 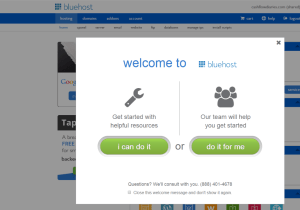 Step 11) – You will then be taken to the blue host account settings page. 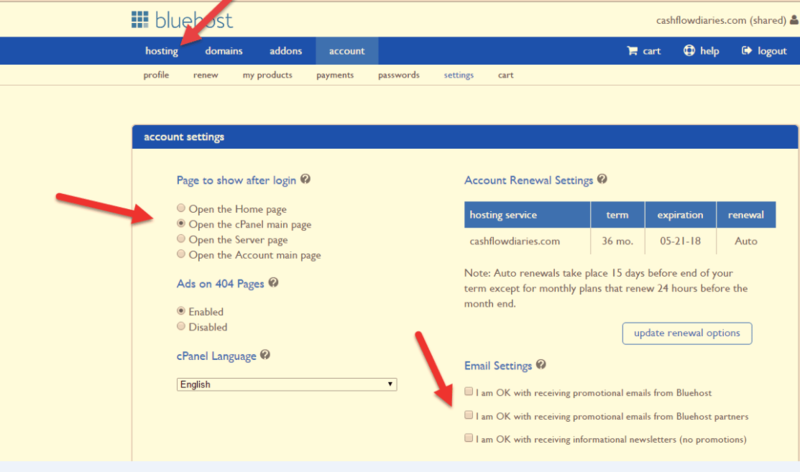 Make sure you click “open the cPanel main page” button, make sure you uncheck all those email settings on the bottom right. No need for all that junk unless you really want it. 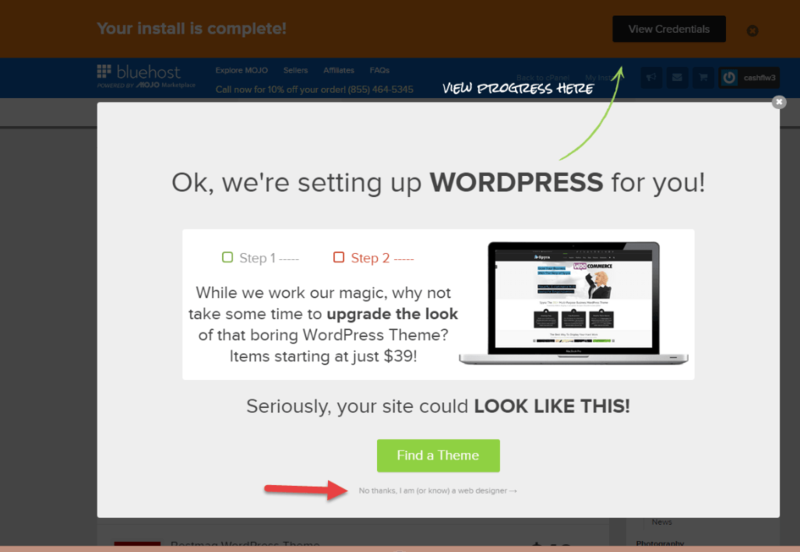 Step 12) – After that a pop up will appear. I chose “i can do it” and I think you should too unless you want to pay money for someone else to do it for you. 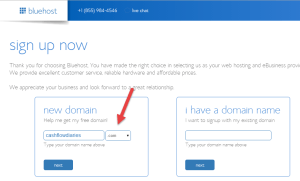 Step 15) – Now you enter your new website name and hit check domain. 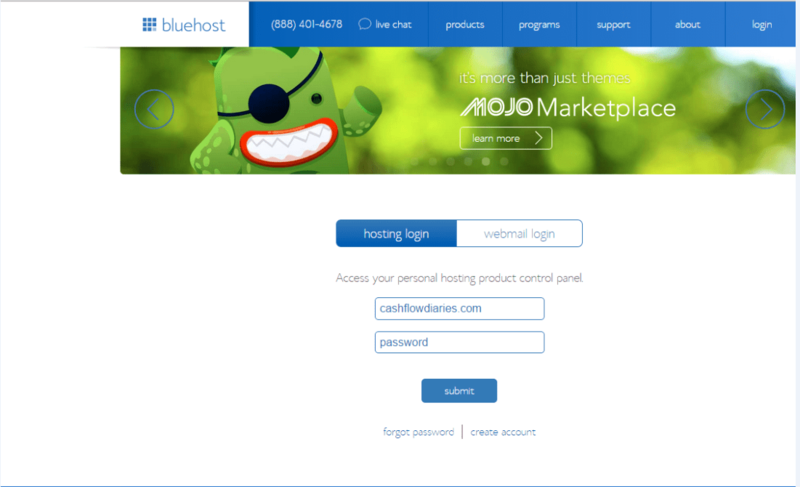 Step 18) – You are now directed into your mojo home page. 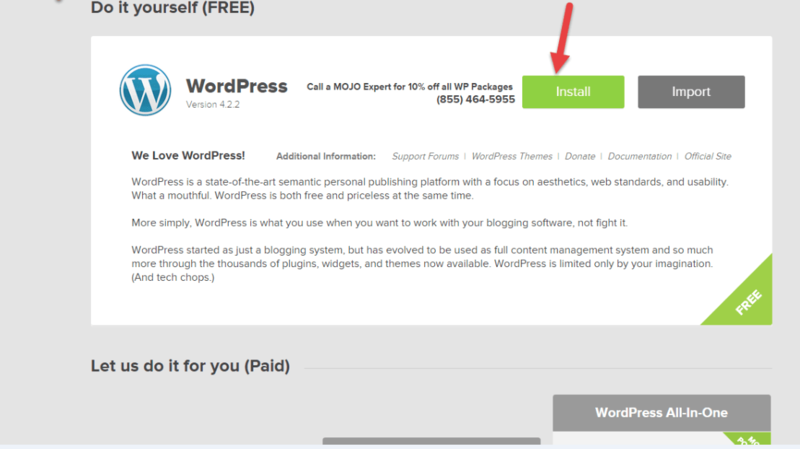 This page is confusing, don’t add anything to your cart, just click on the top right where it says “My installs”. 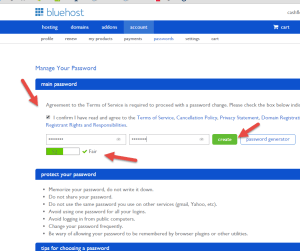 Step 19) – Now choose “admin login” and login with your username and password that you chose above. Step 20) – Now you are in your dashboard. 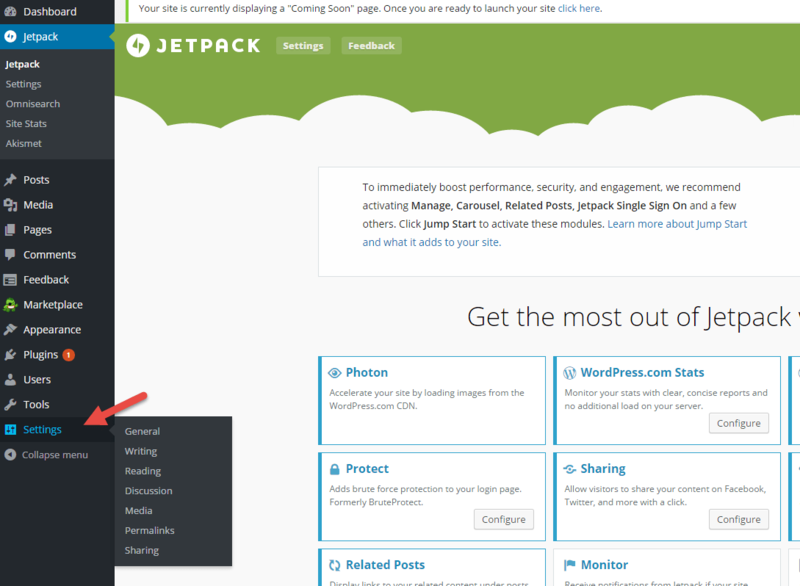 This will be where you add new blog posts, setup your menus, choose themes, add pages and all the other website stuff. 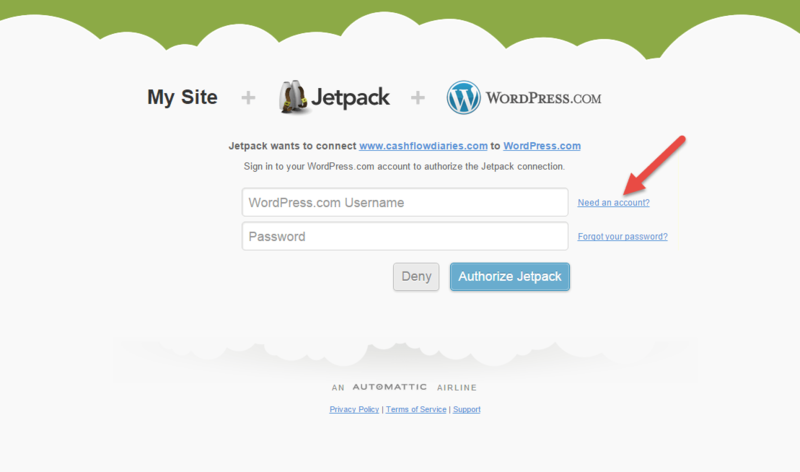 The first thing you should do is use the Jetpack box and hit “connect to wordpress.com”. 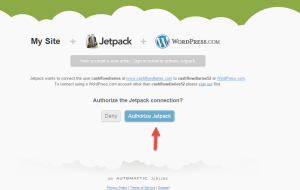 This is the jetpack plugin which you should absolutely download. 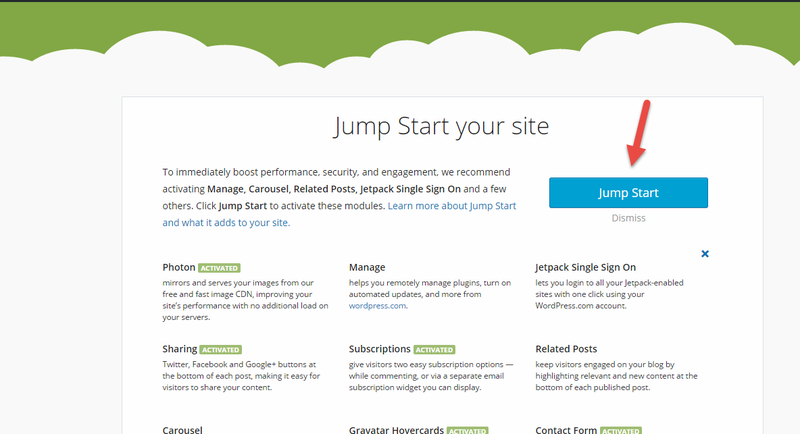 Its free and will give you stats about your site and other cool features that you need. Trust me! 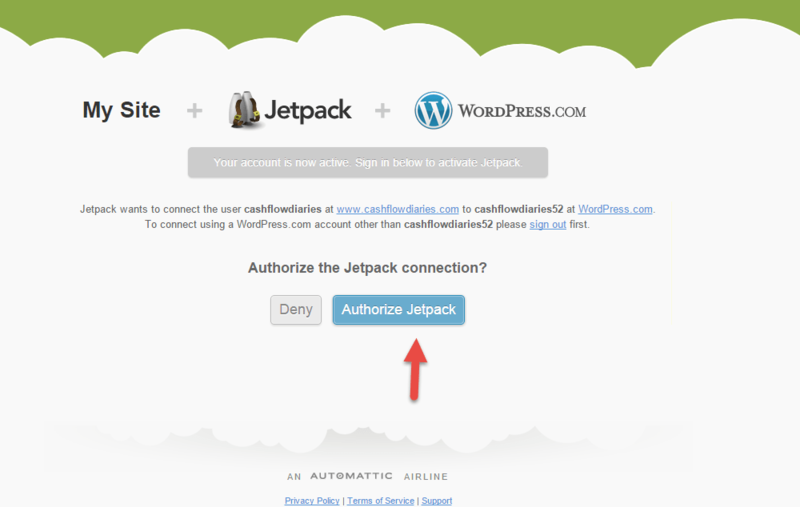 Step 21) – Now you are taken to the jetpack login screen where you need to create another account. Yes folks this is the 3rd different username and password you are creating. I told you above you write all these down and keep track. It gets confusing. Anyways, hit “need an account” and create one. Step 25) – Now that you have jetpack installed its time to go into your settings and start looking around at the different options you have to configure your website. My advice is to click on each one and read it. Step 26) – Now it’s finally time to install a theme. The theme is going to be what your site is going to look like and you can choose among hundreds of different ones. This will be time-consuming just make sure you find a free one. 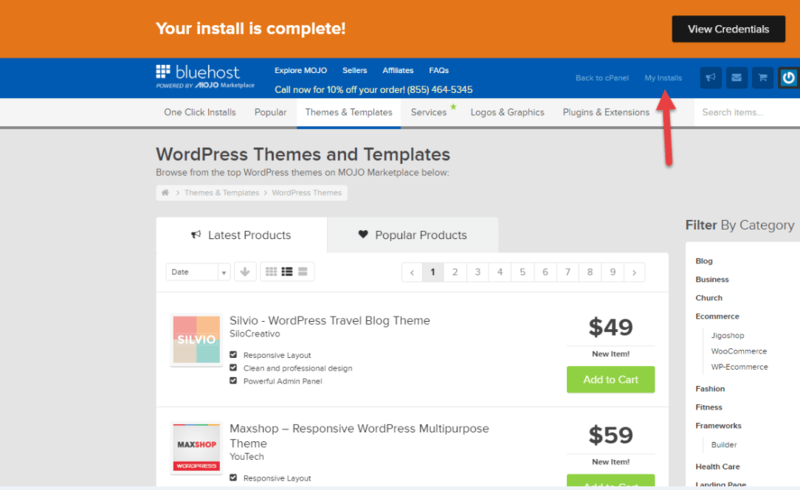 No need to pay for a theme. 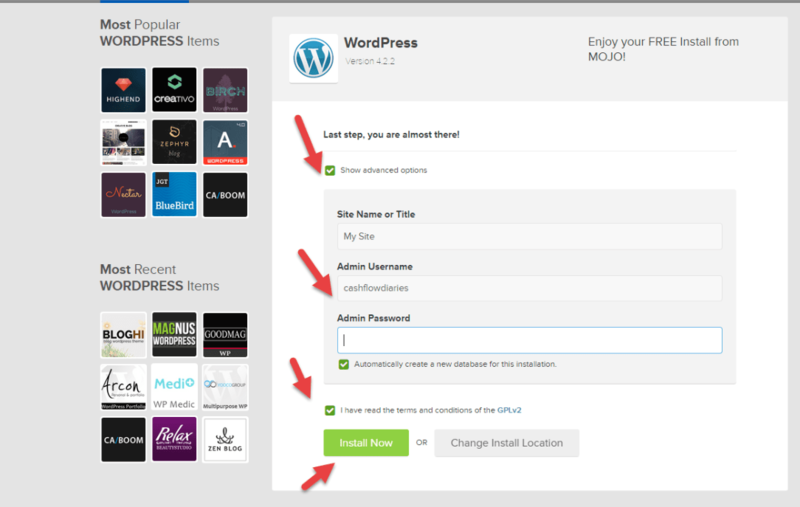 By default there are a few installed ones already like in the screenshot, if you don’t like those then choose the “wordpress.org themes” button on top to see a bunch of other cool ones. Once you have it one you like, install it. And that’s it folks. 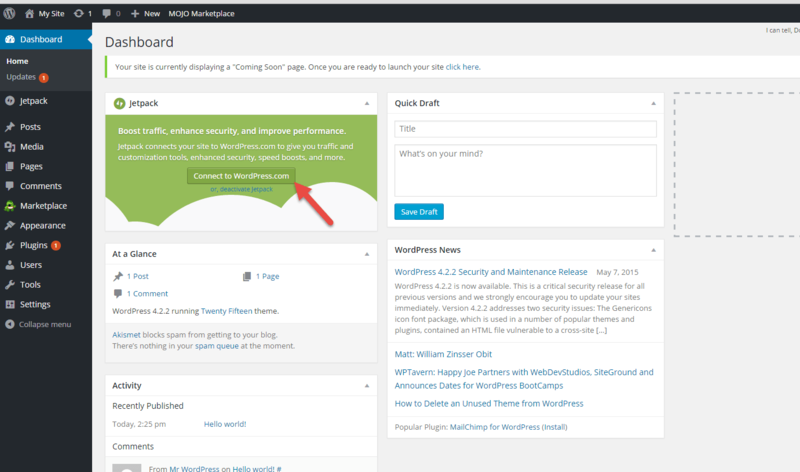 Your blog is up and now you can start creating menus, pages and posts. You will obviously want to create your menu’s first. Then pages, then posts. Enjoy your new blog and once you have it up and running, please feel free to post it in the comments below. I would love to check it out. 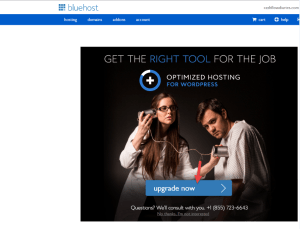 Click here to set up your new blog. To read more about why I created this blog, click here. Rally nice step by step guide. I already knew how to do it but I think it is very useful for people who is starting. 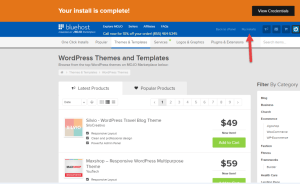 I always heard that to find a good wordpress Theme you need to pay but from what you wrote I can see there are some free good ones. 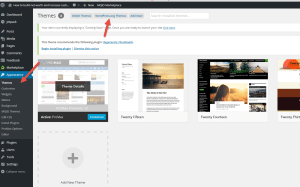 Might I know which theme are you using? Thanks Fran! I appreciate it. There are some good free ones out there. The one I am using is called ProMax but I ended up paying $20 to unlock some better features it had that I wanted to use. Still not a bad deal though. 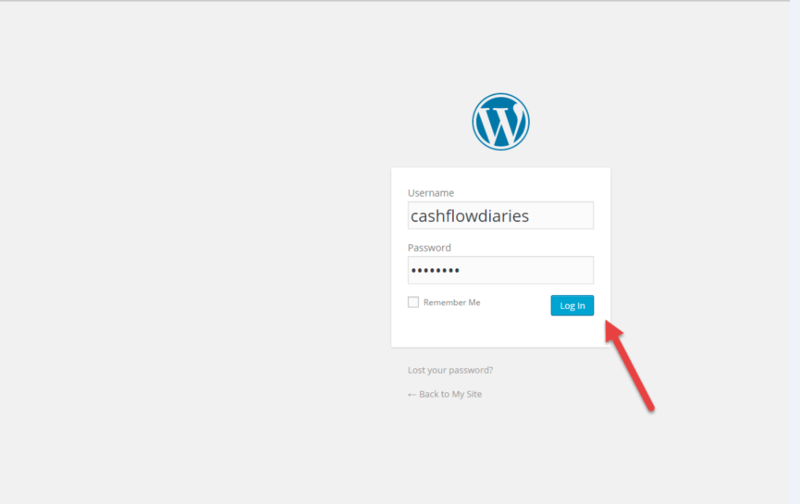 Great site CFD (Cash Flow Diaries) & loving what you’re doing here! What’s the best way to do so? Probably through the contact page? You’re welcome CFD! I’ll shoot you a note when I get the chance..
Hi! 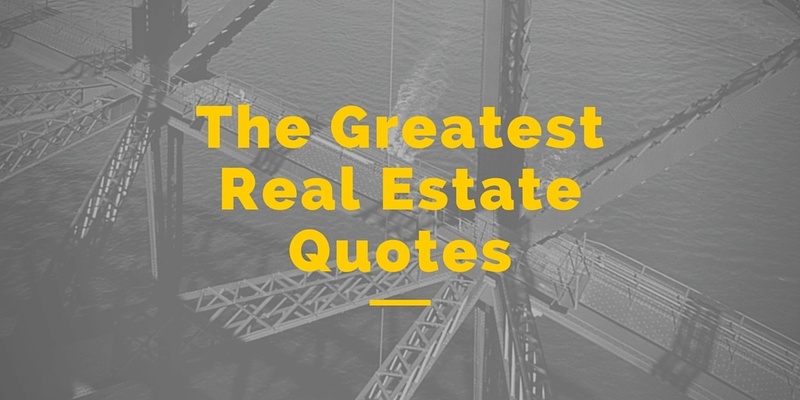 I am inspired by your page as i just stared investing in real estate and have high goals to reach! 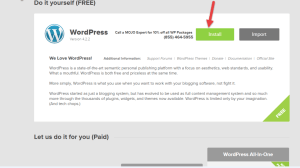 I have looked into starting a blog, and was wondering if you used word press? I like the layout of yours.